" Faces of Urban Decay "
Hailing from a city with an industrial past, Pedro Correia grew up surrounded by the present memory of symbols such as factories, ruins, train yards and chimneys. In his mind the city is both a reflection of the individual as much as the city is a reflection of the individual himself, since the individuals are those who inhabit the spaces and give them an identity both socially, culturally and affection. Hence the presence and absence of humans in these structures define the urban landscape. Attempting to expose the inherent duality in our urban environment, and at the same time a symbiosis between the urban and the human. 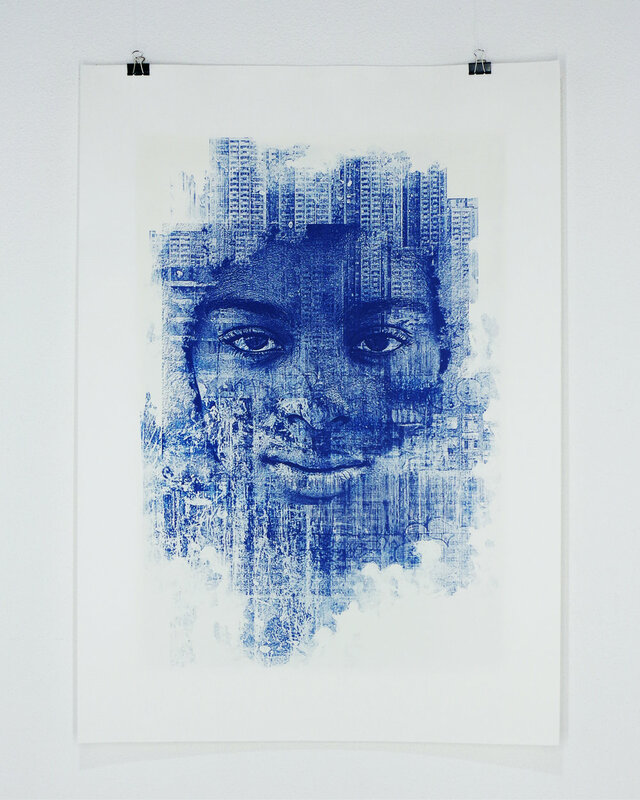 His aim is to capture the world in a way by which the vestiges of the past remain in the urban fabric of the present and how both are " appropriated " by the current population. 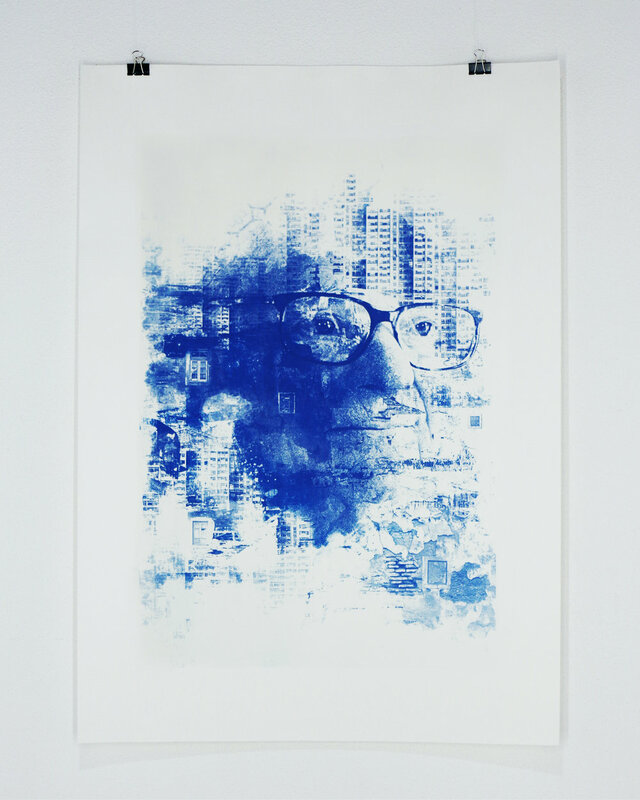 Employing Cyanotype techniques through the manipulation of photographs the artist seeks to create something from the diverse subjects that the city provides him and finally return something new with his contributions.